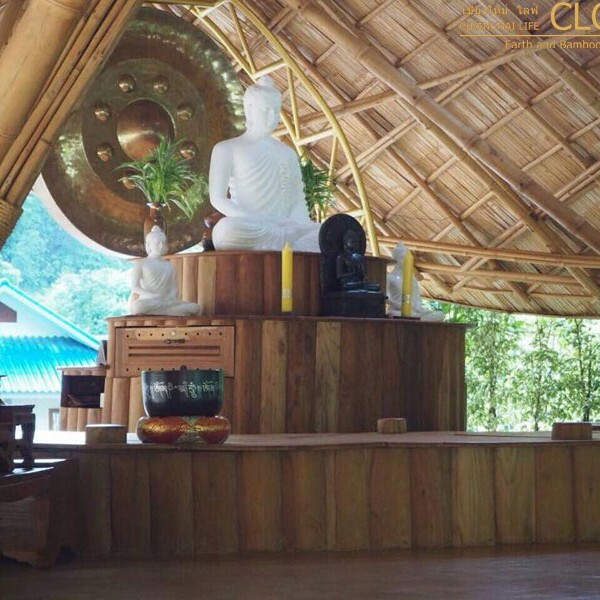 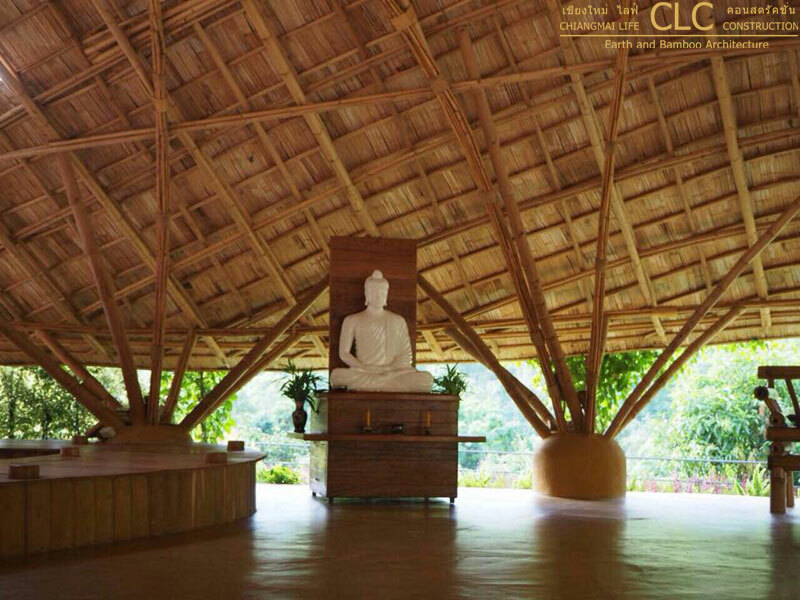 As the function of Dhammagiri Meditation Hall was to host Dhamma talks and meditation seminars, the bamboo architecture had to create a space that was inspiring, spacious and light. 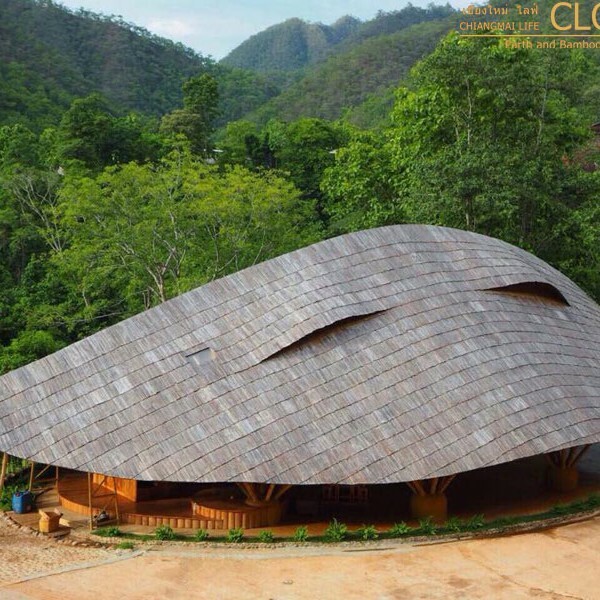 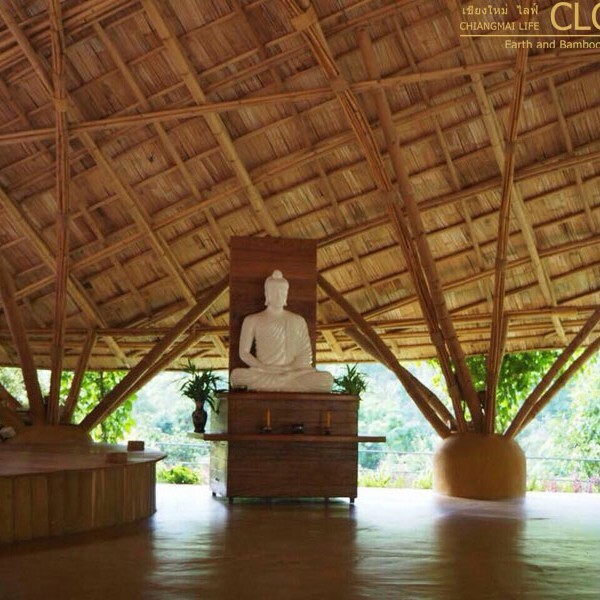 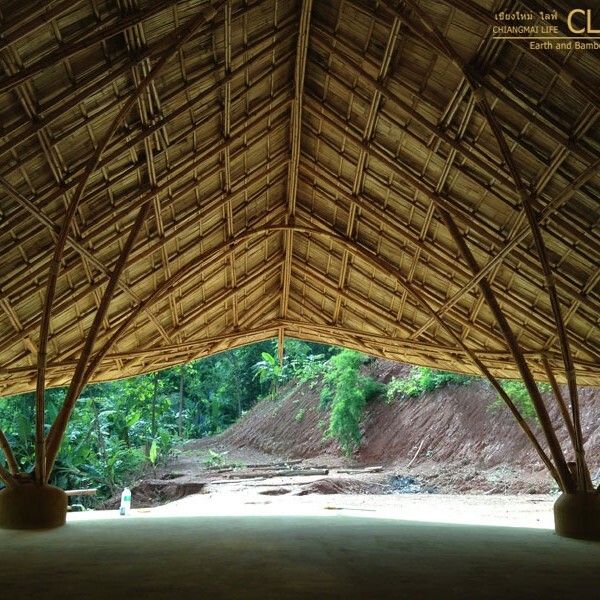 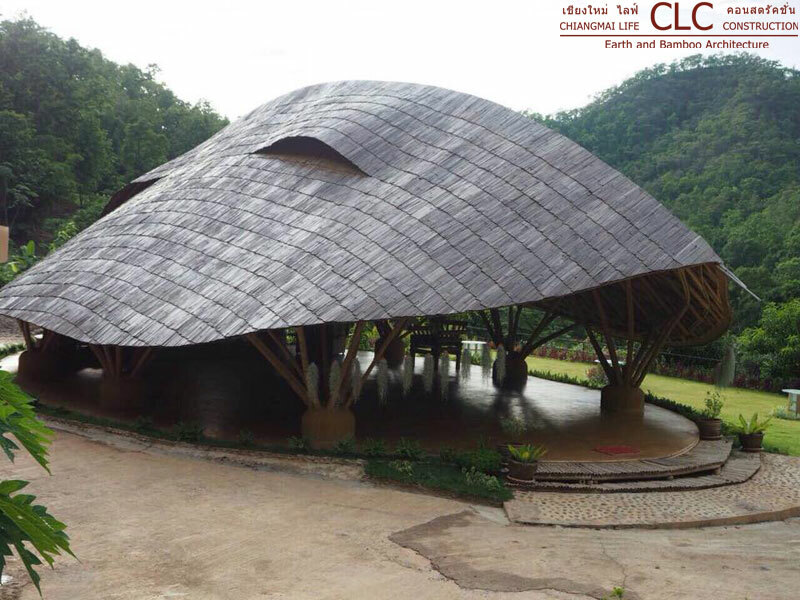 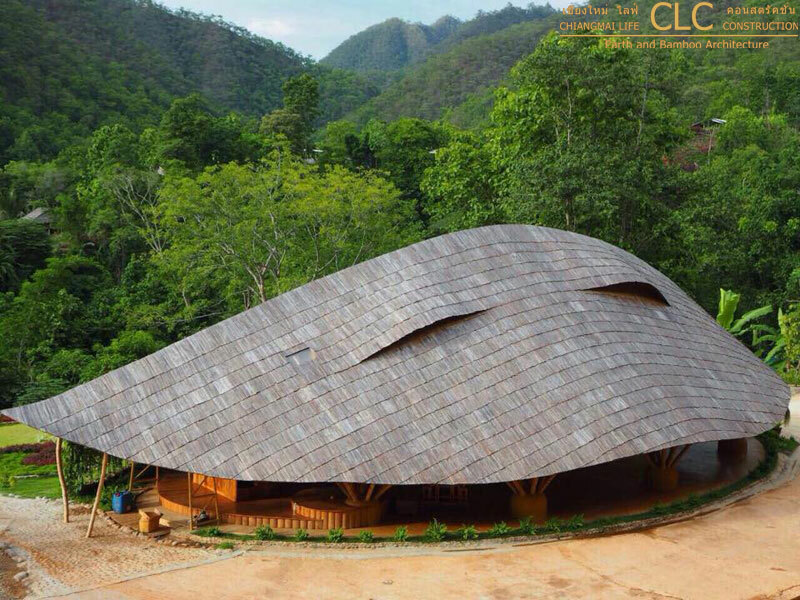 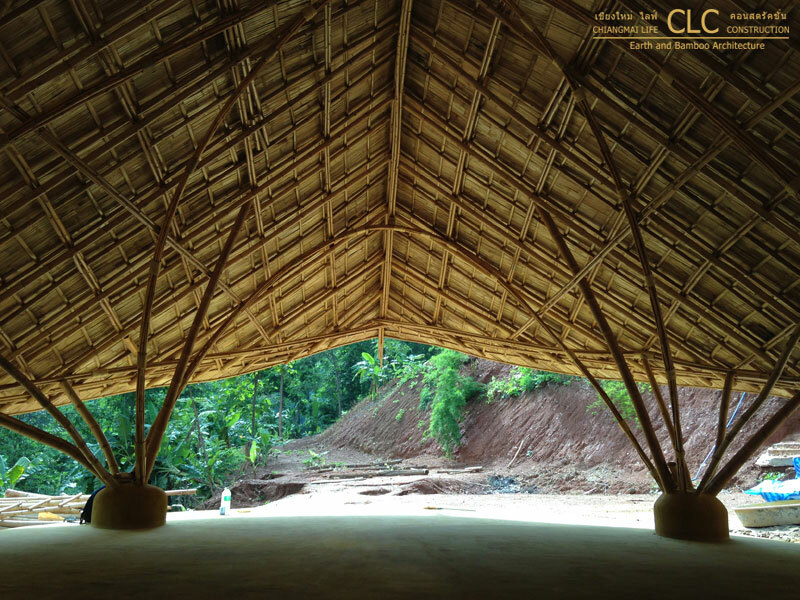 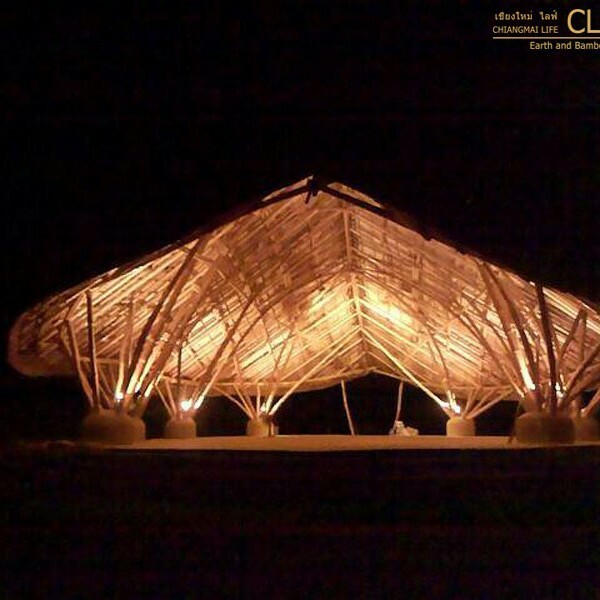 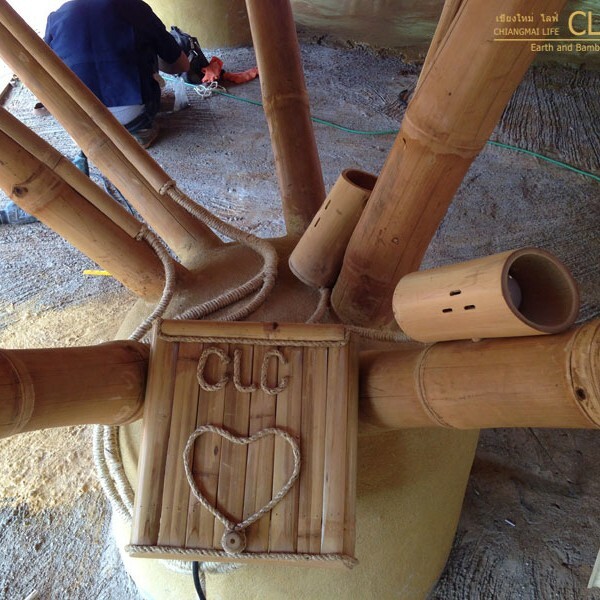 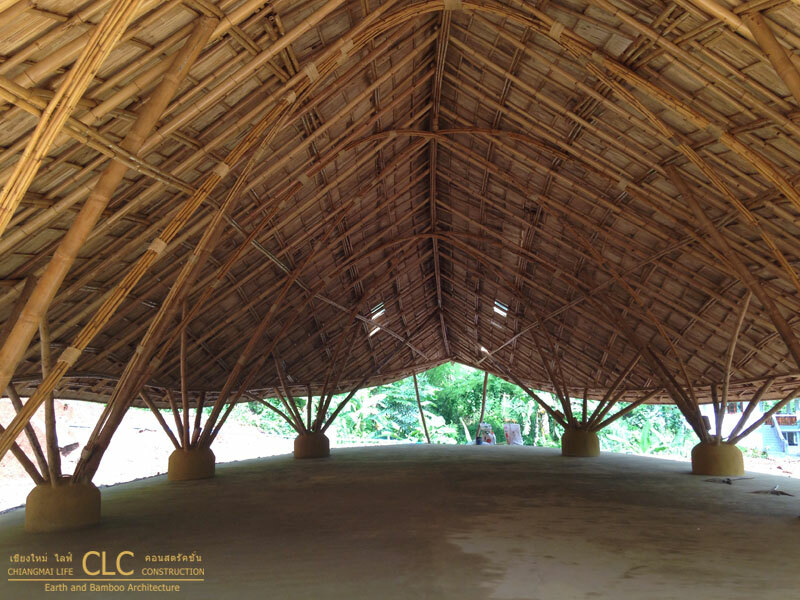 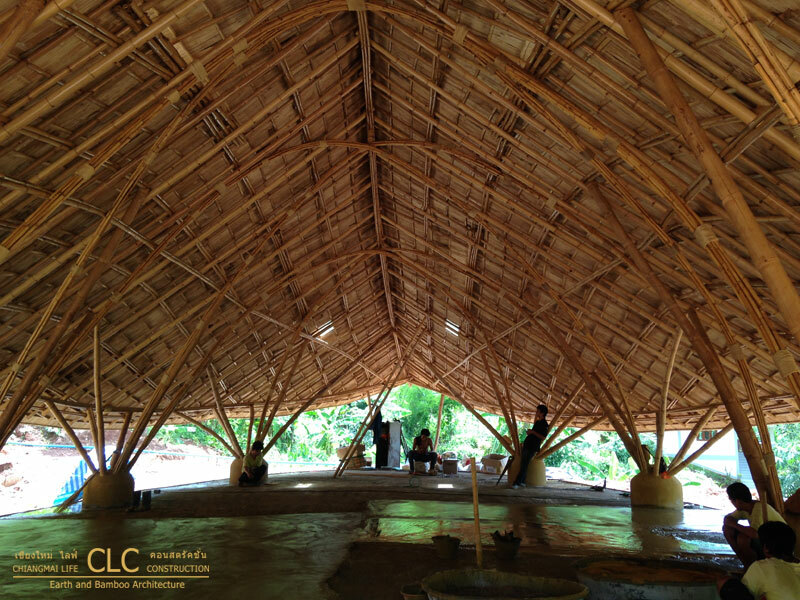 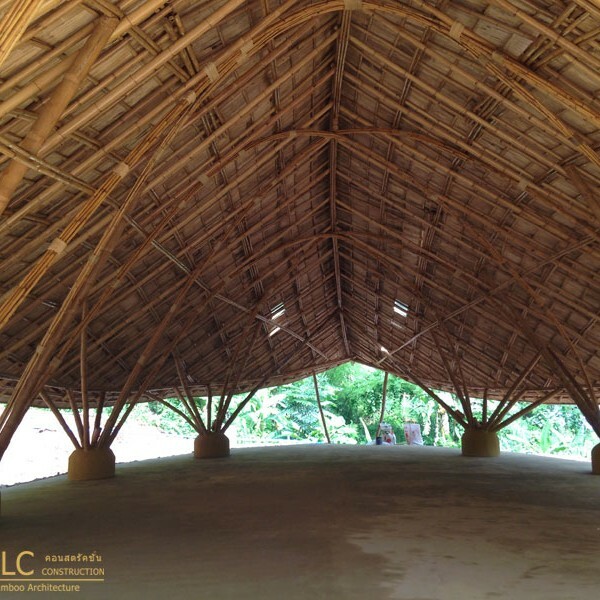 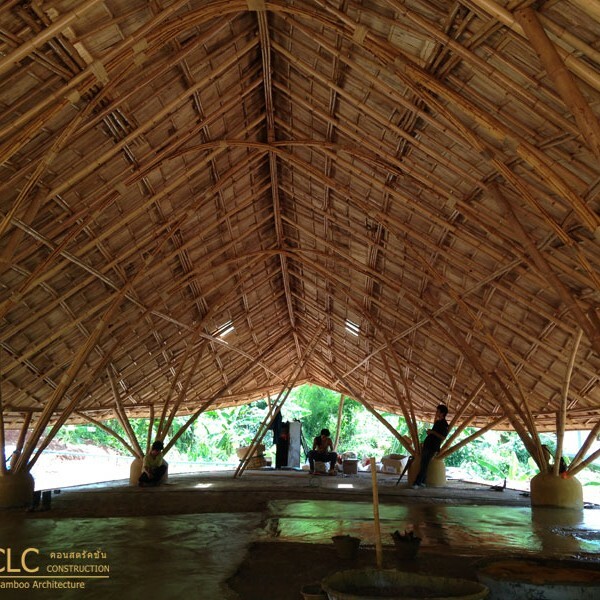 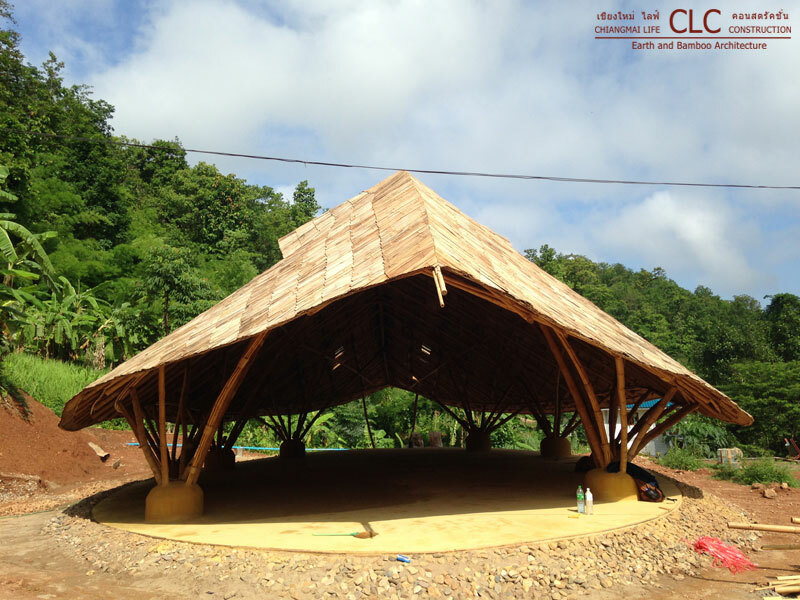 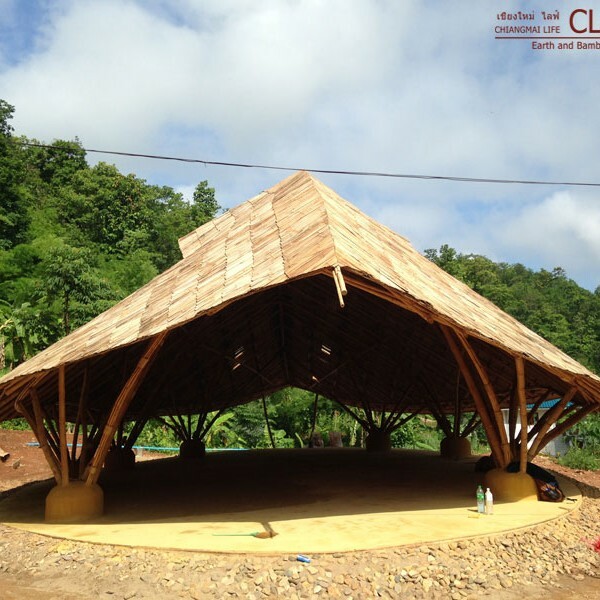 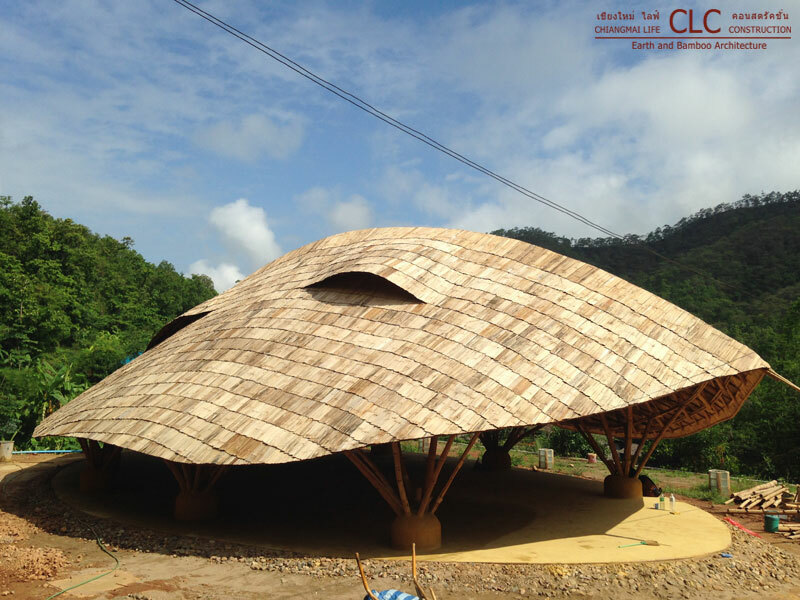 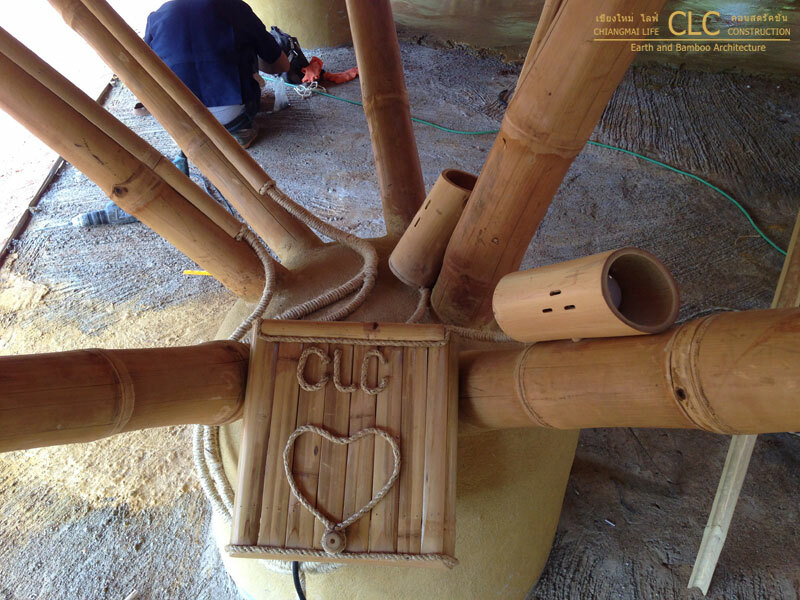 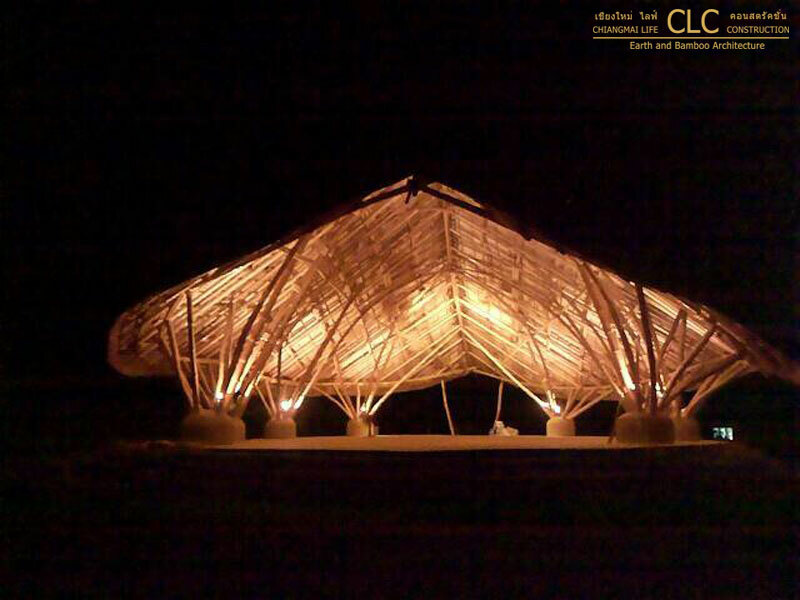 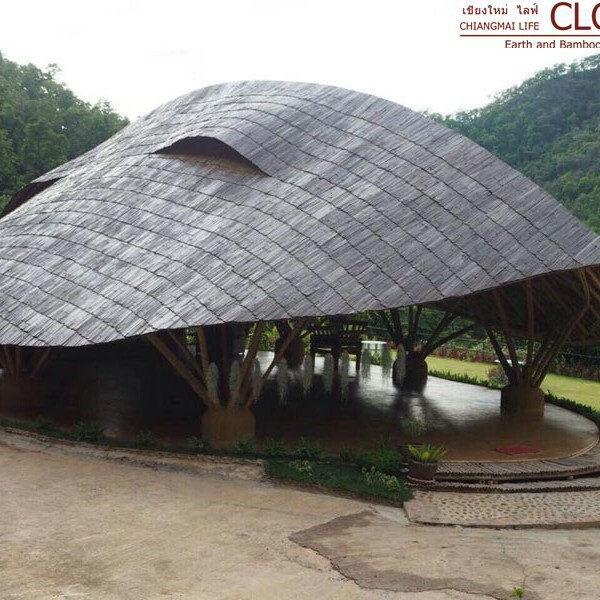 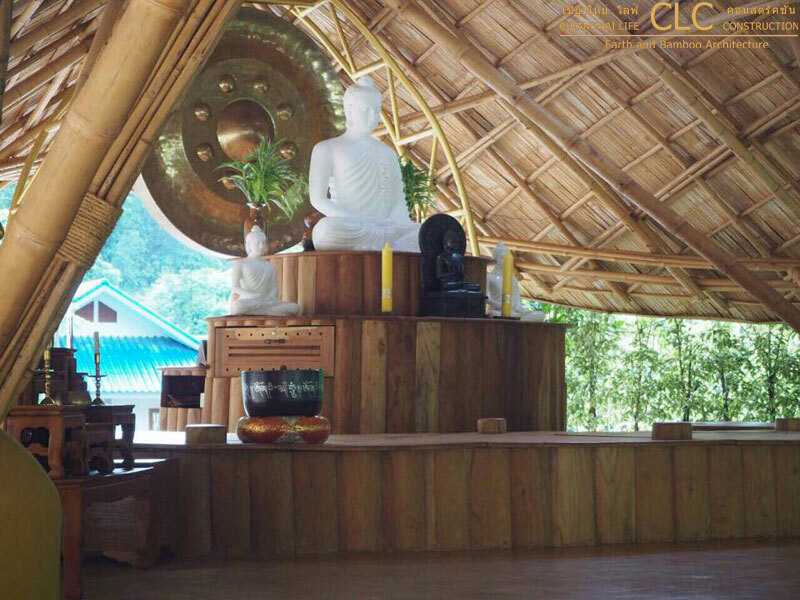 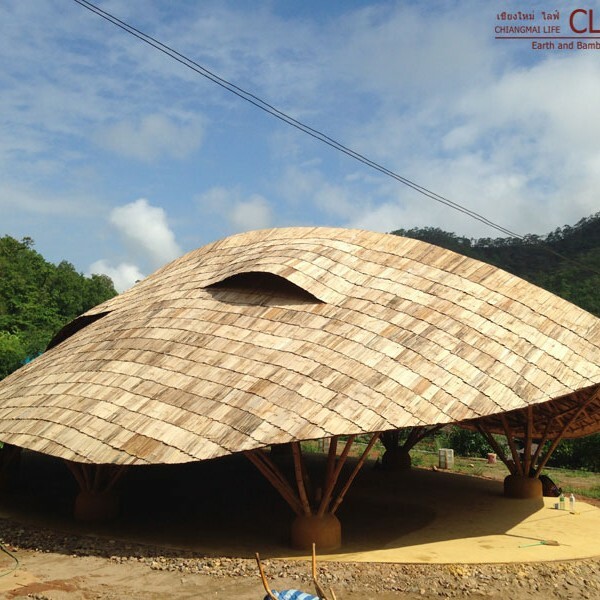 Similar to churches we wanted to create a Meditation Hall using crossing bamboo arches as the main structural element supporting the bamboo roof. 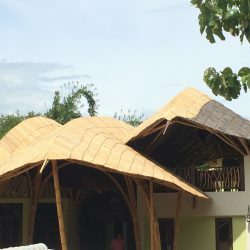 Beams of bundled bamboo using a smaller species of bamboo were used to create the undulating exterior of the big bamboo roof as well as for the arches. 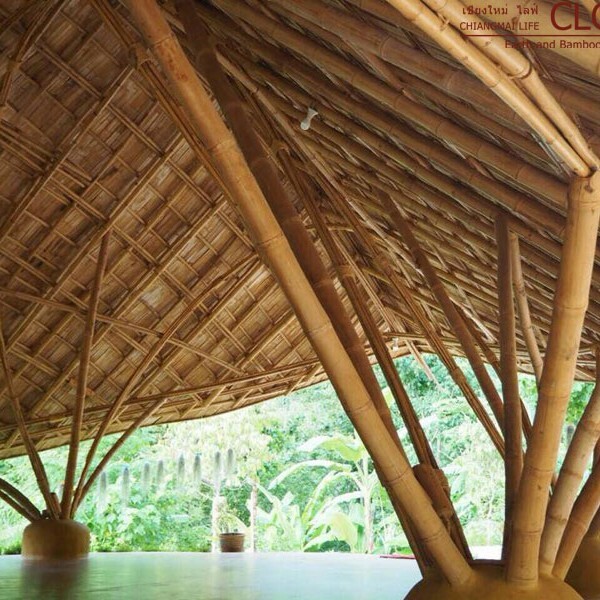 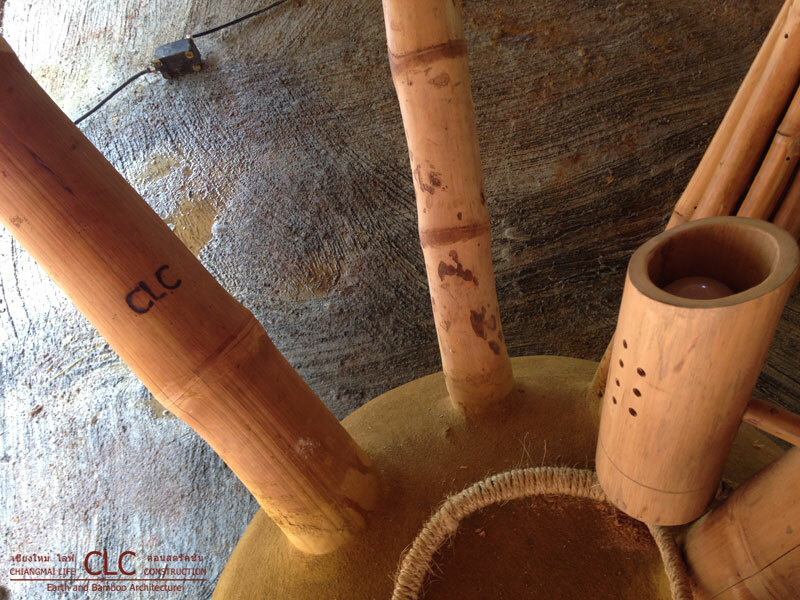 The architecture also used bigger bamboo culms as support structure to complement and juxtapose the more fragile arches. 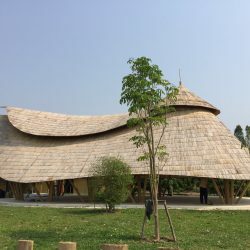 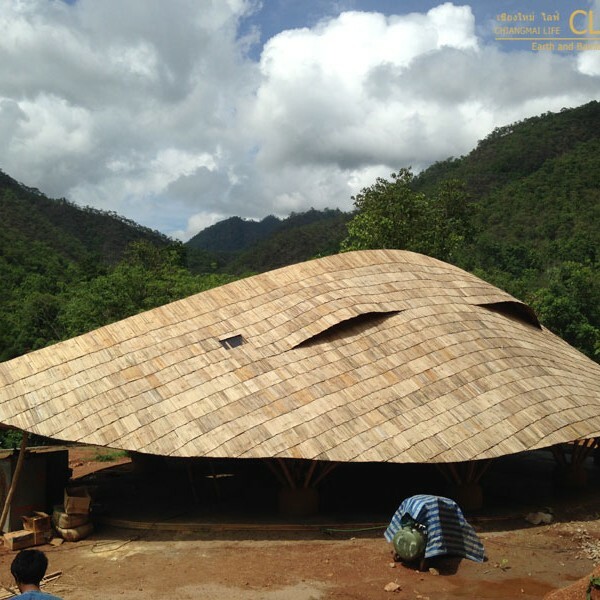 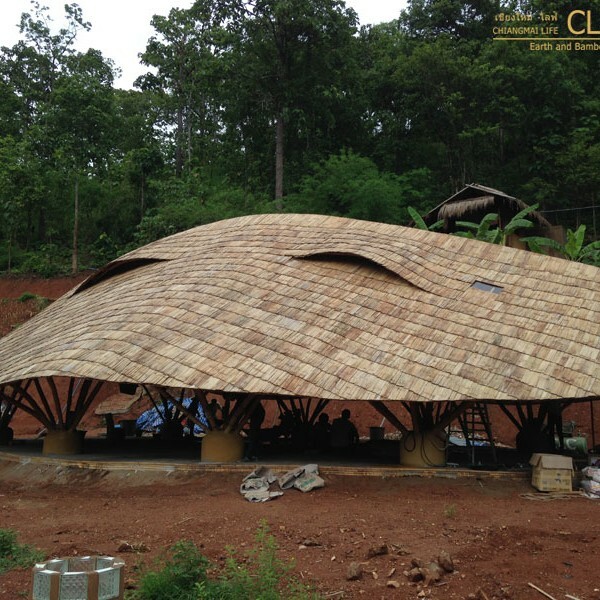 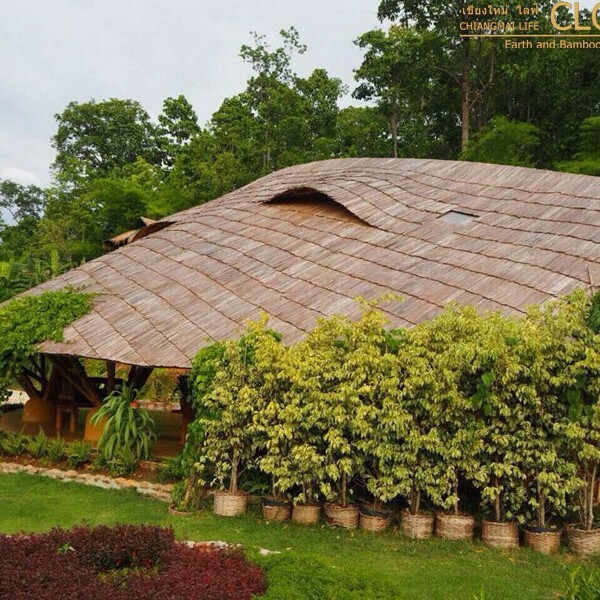 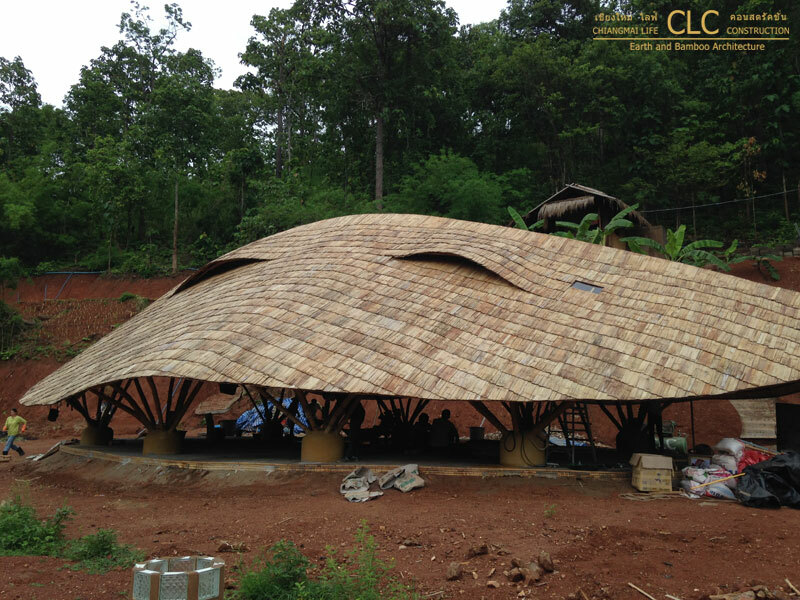 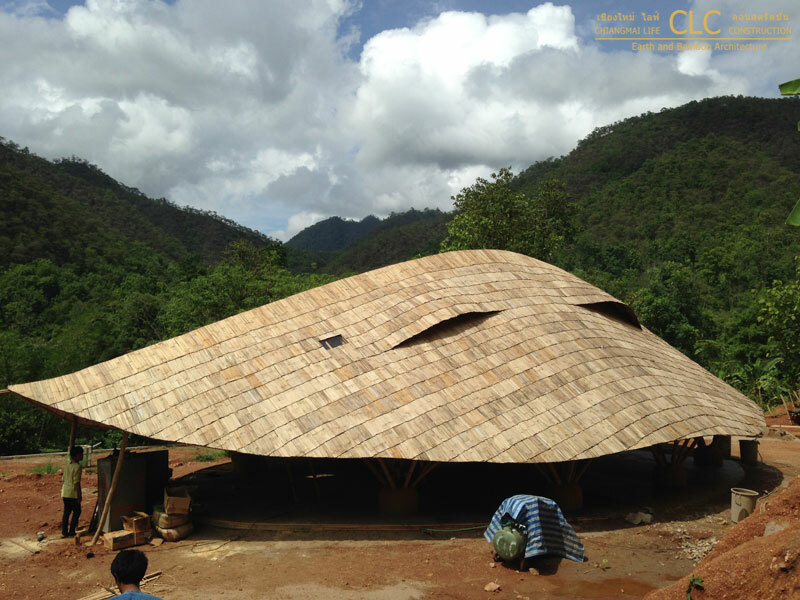 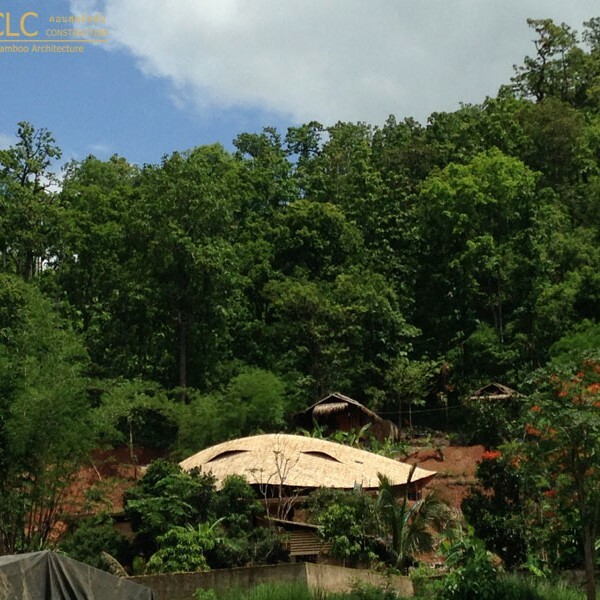 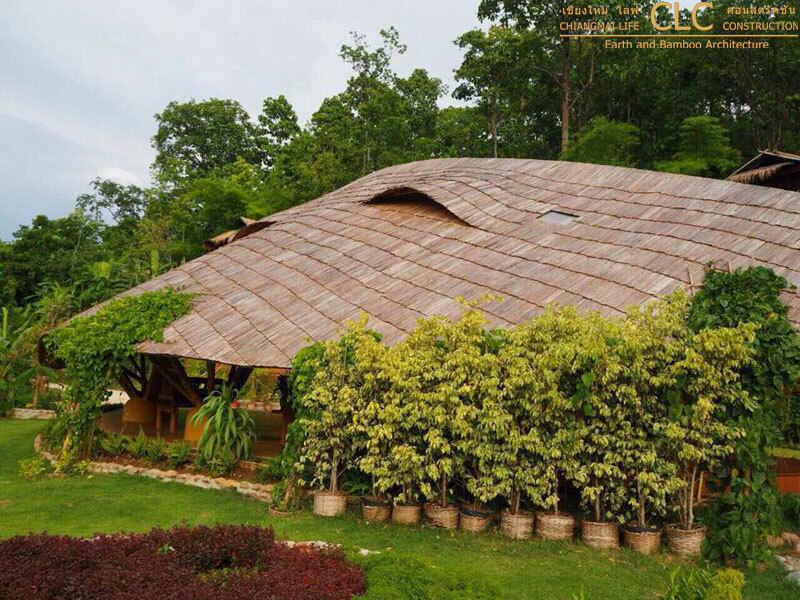 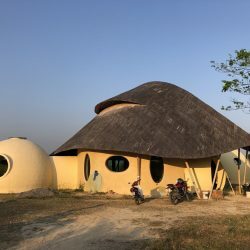 The roof of the Dhammagiri Meditation Hall is made of several layers of split bamboo with tar sheets sandwiched in between them against rain as well as heat. 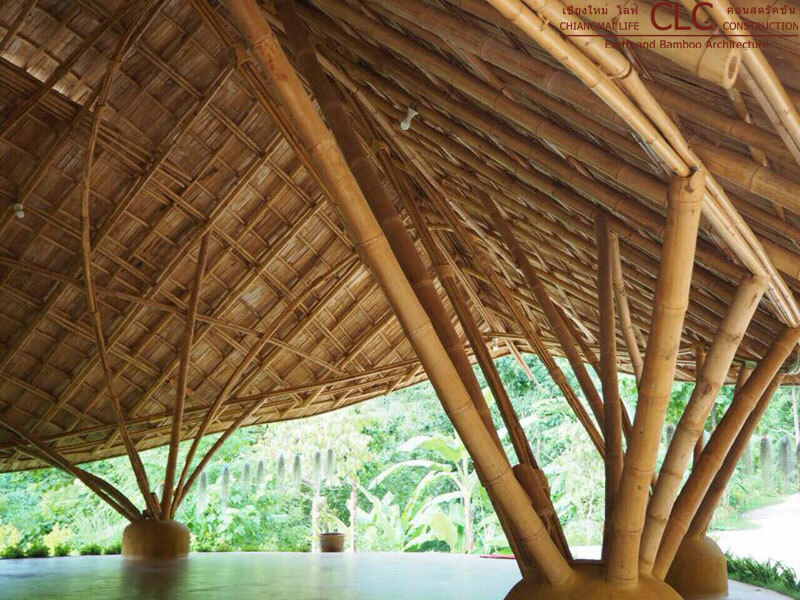 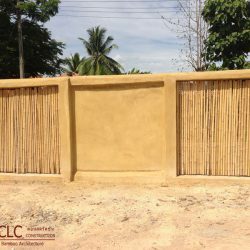 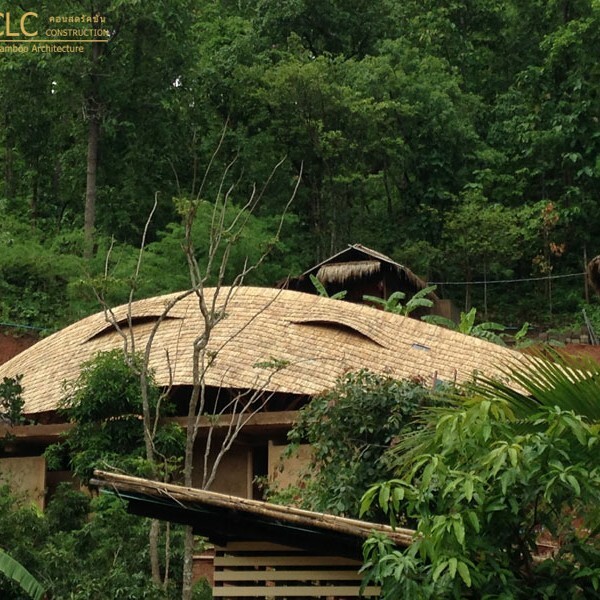 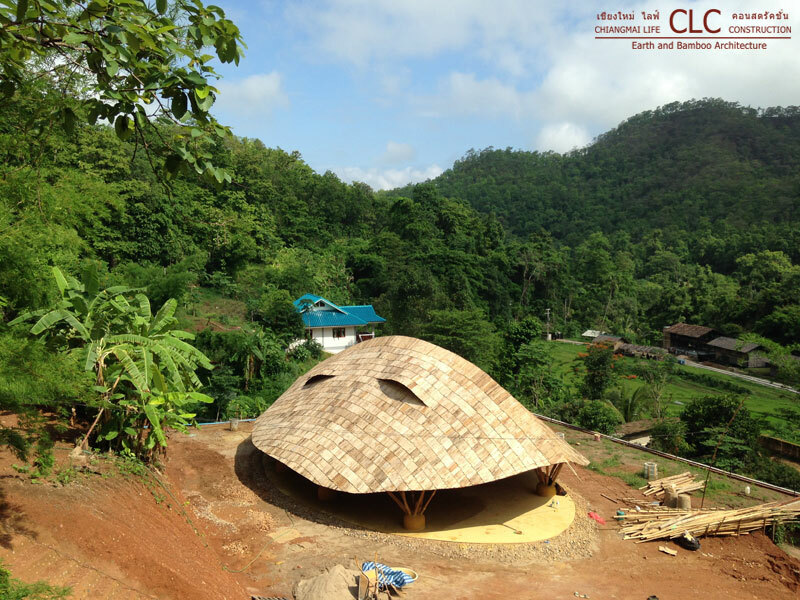 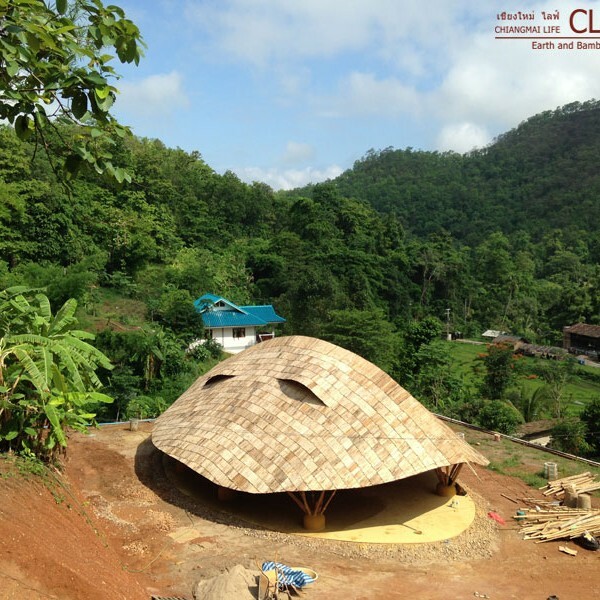 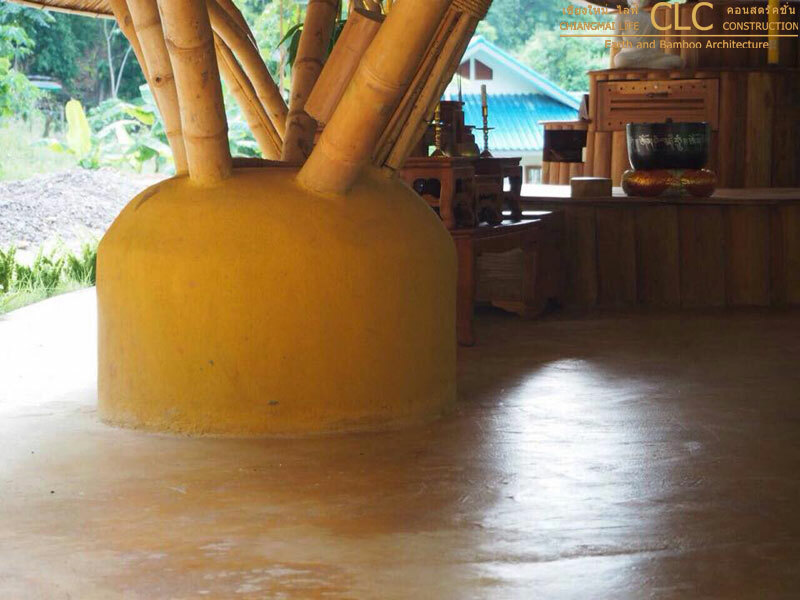 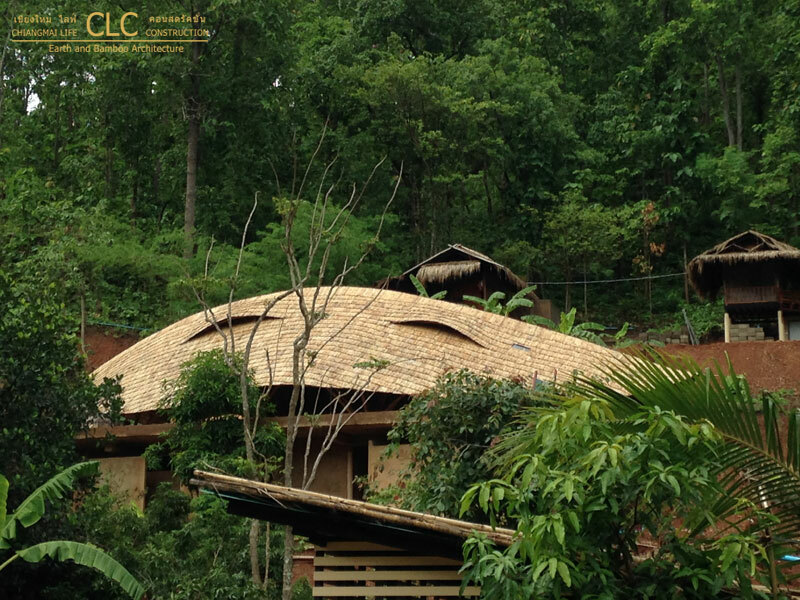 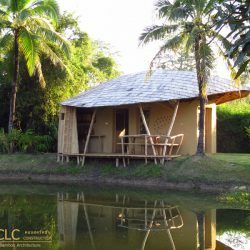 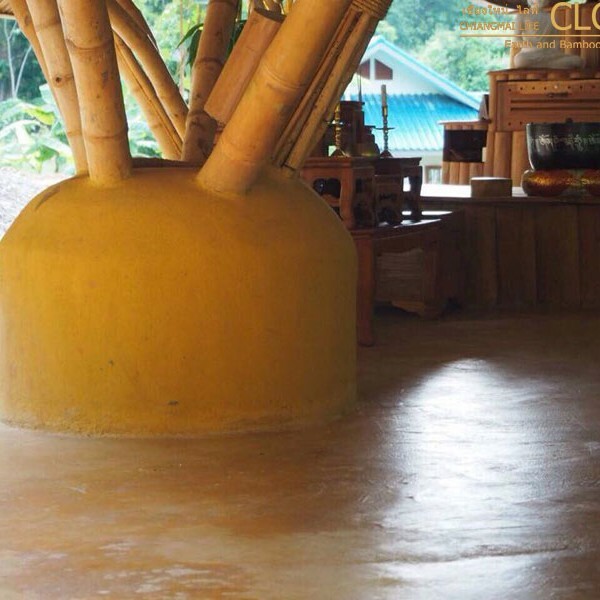 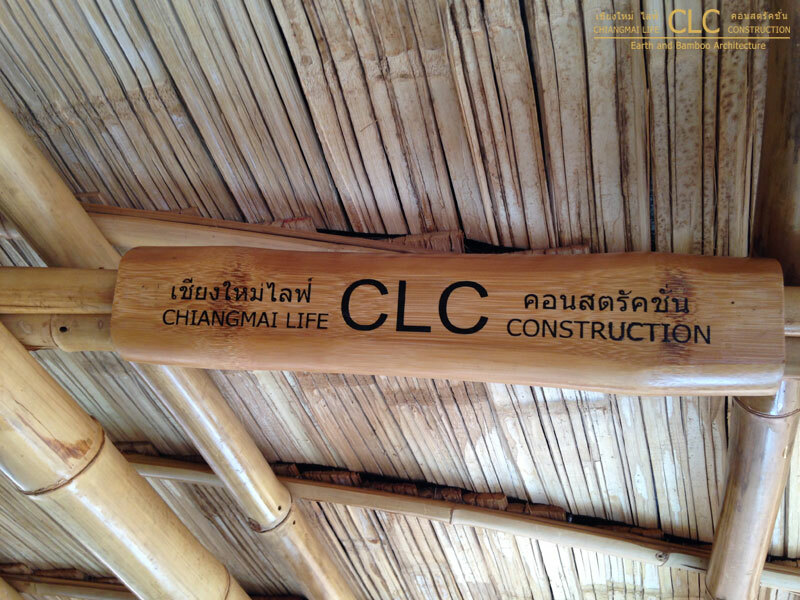 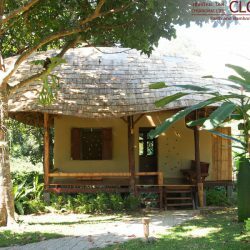 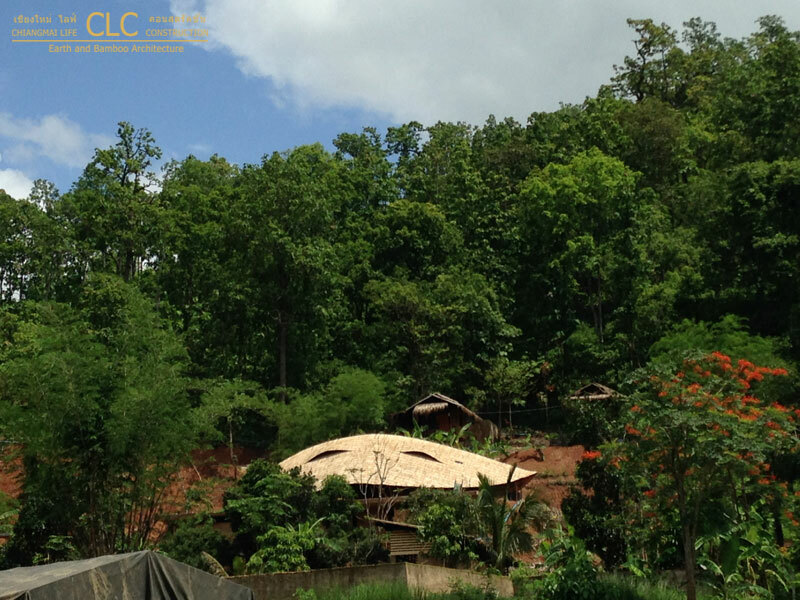 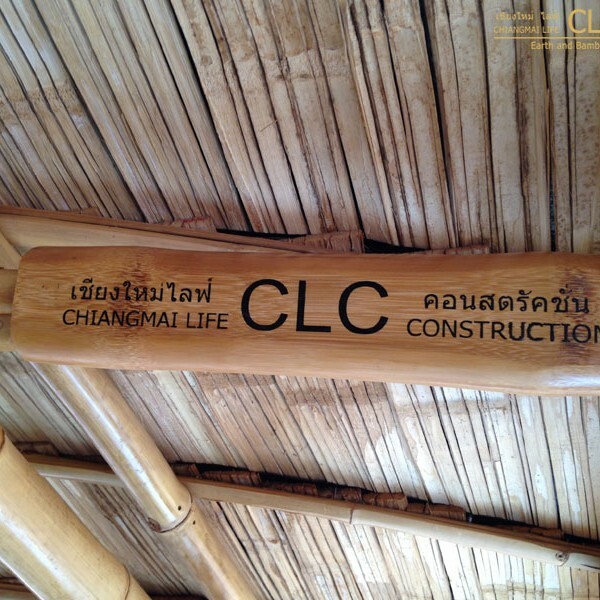 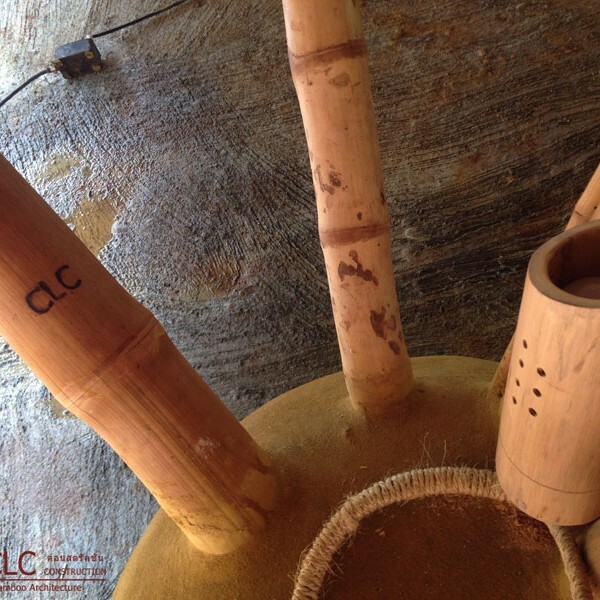 This kind of bamboo roofs are good insulators and keep the interior cool and dry.